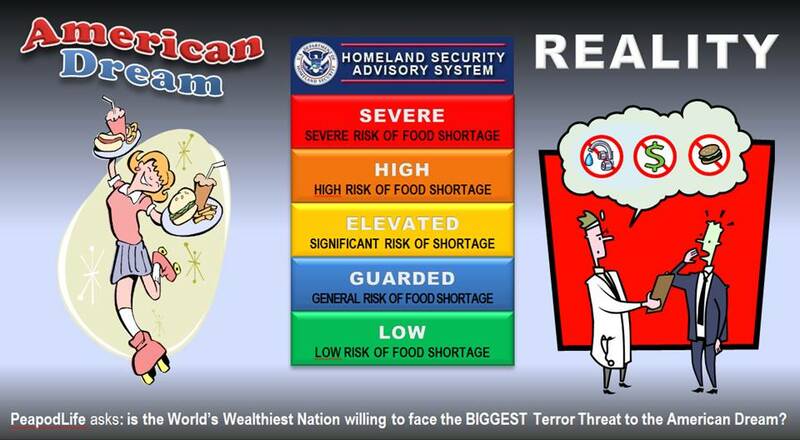 PeapodLife asks: is the World’s Wealthiest Nation willing to face the BIGGEST Threat to the American Dream? The new film, A Place at the Table, looks at food security in the United States. Produced by the same filmmakers who brought us the award-winning documentary, Food Inc., A Place at the Table promises a no-holds barred look at the state of food poverty and the resilience of the food system in the U.S.
A documentary of Kristi Jacobson & Lori Silverbush that investigates incidents of hunger experienced by millions of Americans, and proposed solutions to the problem. While we couldn’t find any listings for showtimes in Canadian theatres, you can download it on iTunes. 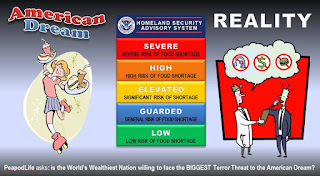 We have not seen the film yet, but we’ve been on top of food security for some time now, and we feel it’s about the U.S. take along, sober view at what we think is a far more “credible terror threat” to the American way of life. 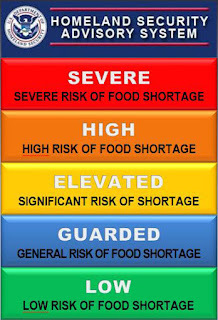 It is practically unfathomable that the most powerful and prosperous nation in history has such a fragile food system. How many in the U.S. have know-how or capacity to grow their own food? Sure, they’re all armed to the teeth, but in the event of catastrophic food collapse, not everyone can go off into the wilderness and live off wild game. They tried that once out West and very nearly killed off the Buffalo entirely. Energy-addicted, America is damming rivers at an alarming pace. The looming water crisis in the American mid-west and South will decimate the country’s ability to produce viable crops for their own population, let alone export. 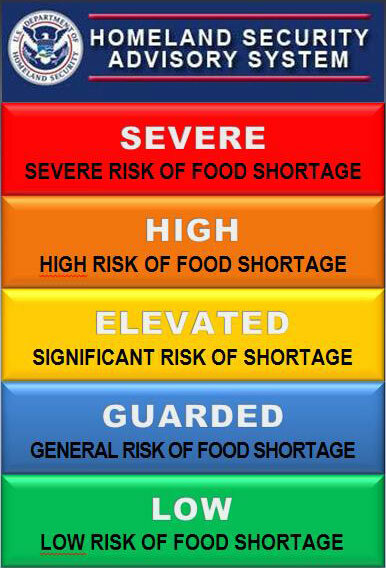 This means Canada is vulnerable to the food security threats facing our neighbors to the South. The Unites States is not only our biggest trading partner, but also the source of many of the food products we consume everyday (particularly in winter). And yes, many of the high-end and organic brands enjoyed by foodies and conscientious eaters come from the U.S. Why isn’t the Stephen Harper government raising the red flags with its American counterparts? Why does energy get top-billing when it comes to national policy and international affairs in Canada and abroad? When you think about it, the most important source of energy for humanity is food! Food is energy. Food is an integral of Peapod Life’s approach to “AHH…!” Our Advanced Human Habitat recognizes the fundamental importance of stable, local, organic food production. In the coming weeks we will be showcasing how our integrated Building EcoSystems & Technology solution provides the BEST air, water and food possible. Indoors, 365 days a year. Stay tuned to peapodLife’s blog and Twitter feed for ongoing “Alerts.” And don’t forget to Like us on Facebook!